A member of the chicory family, frisee has delicately slender, curly leaves that range in color from yellow-white to yellow-green. This feathery vegetable has a mildly bitter flavor and is often used in the special salad mix, mesclun. 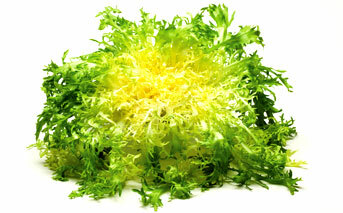 Our Premium Blanched frisee has a higher percentage of blanched (yellow) leaves. Our Circus Frisee has virtually no green leaves and is a 100% usable product.